Ahh blue nails.. 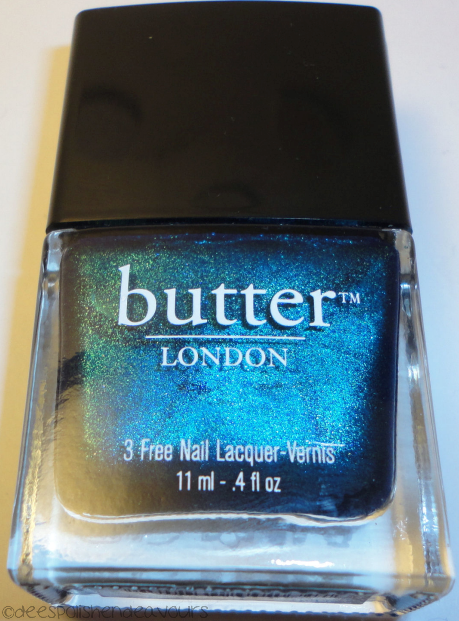 I have a strange affinity for blue nails..
For this day, I went with another Butter London polish - this one is Bluey, and it leaves me with similar feelings as Knees Up did. I don't really like it.. but, I didn't DO anything with it.. So maybe that will change? Who knows! I must apologize for my cuticle areas.. I really need to leave a larger gap since I am not wearing these polishes for very long. I will get better with this challenge/swatching deal.. Some year. This blue is gorgeous, btw. I also have a nail polish blog.I like this color nail polish I explained in my blog,almost the same color..Name is PASTEL 123. Anyway, I will follow you enjoy demonstrations of nail polish,I own my blog, but also as spectators want to see you :) wait my blog ! see u later xOxO!! Click For ME*My blog !